Our office has found that attention to the calibration records of breath test devices can often pay off in cases when the blood alcohol content (BAC) measurement is just over .08 percent. We sometimes notice that a machine which one may otherwise assume is accurate is actually calibrated to read 0.11% when a known sample of 0.10% is measured. This can mean a 0.08% BAC is really a 0.07% and a DUI may even be dismissed. We have had this happen in many cases. What to Take Away: One good defense attorney in San Francisco uncovered fraudulent records in police DUI machine calibrations, eventually exposing five years of DUI convictions that may have been in error, affecting thousands of people. In a major victory for criminal defense attorneys in the San Francisco area, the San Francisco District Attorney’s Office announced this week (February 2012) a joint investigation into the San Francisco Police Department’s use of PAS (preliminary alcohol screening) devices for at least the last five years. The investigation was triggered when the deputy public defender’s office discovered that since at least 2006, logs of accuracy tests for the devices never ever changed and thus were falsified, according to the San Francisco District Attorney’s office. Records showed that the police force’s accuracy test logs showed exact matches between sample readings and actual tests, which is mathematically impossible. In fact, the district attorney’s office determined that the San Francisco Police Department actually performed no accuracy testing at all during this five to six year period. The public defender’s office said the investigation should go back to 2002, but the district attorney’s office said it would only go back to 2006. A spokesman for the San Francisco Police Department said the department had stopping using the devices as of February 10, 2012. The ramification of the lax (really lack of) accuracy testing could easily reach state wide in many contexts, including civil lawsuits. According to the San Francisco Police Department, there has been an average of 1,600 DUI convictions per year in San Francisco since 2002. Thousands of DUI prosecutions could be reconsidered, especially insofar as PAS results from the suspect devices served to reach convictions (either via plea or verdict). Such bogus convictions may have the insidious effect of making many a current second (or third) time DUI prosecutions subject to review when the prior DUI is from the San Francisco Police Department. Likewise, DUI convictions with a high BAC sentencing enhancement (0.15% or above) may need to be reconsidered, especially when the alleged BAC was 0.15%, the minimum BAC needed to qualify for the enhancement. Yet such obvious ripple effects seem to be really only a small portion of the total number of cases that may be called into question, especially since other police departments may have followed the same testing procedure. Moreover, it is easy to appreciate other effects such bogus DUI convictions (or even arrests) have caused. A conviction costs money! Increased insurance rates are just one effect, and perhaps the most widespread. 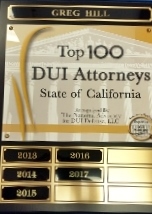 Anyone with a commercial license arrested and / or convicted for DUI based on such practices may have lost their commercial license and thus, their jobs. Other professional licenses such as for being a doctor, lawyer, CPA or real estate broker may have also been lost or the licensee was subject to suspension, causing financial hardship for the licensee and his or her family. Anyone on DUI probation would have had to submit to a PAS, but to an officer using a PAS device that was not accurately tested. Consequently, there may have been thousands of DUI probation violations that were improperly gained. Similarly, many cars were wrongfully impounded based on a belief that an individual was DUI who really was not. Socially, many marriages may have been affected, college plans may have been put on hold and the social stigma associated with being “a drunk driver” were needlessly affected. What Is the “Mouth Alcohol” Defense to DUI?